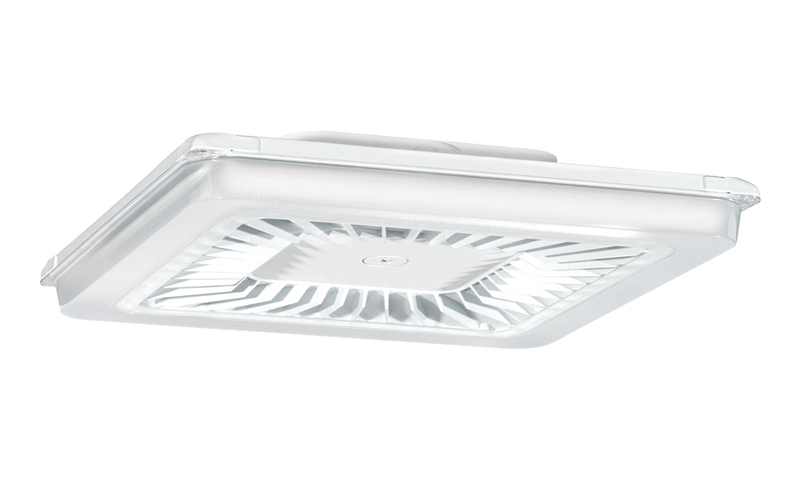 This ultra high efficiency LED garage light delivers up to 118 lumens per Watt. Available in 30, 42 and 55 Watt versions that replace 70 to 175 Watt metal halide fixtures. Fixture measures 14" L x 14" W.